Is there a rat living in your kitchen cupboards? Or, are the cockroaches on your bedroom walls bothering you? This pest-busting, life saving and simple trick will enable you to get rid of unwanted ‘house guests’ for good. It is peppermint tea. The best thing is, you would not need to waste your brew. 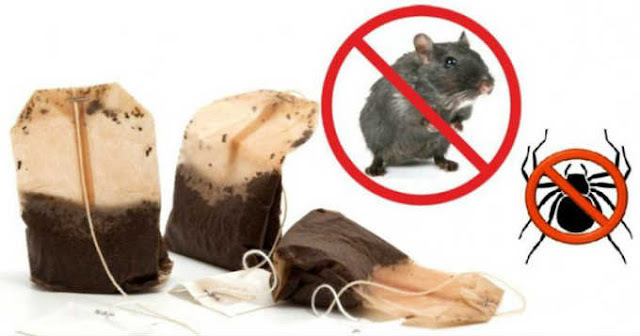 The trick is simple: leave the used peppermint tea bag in the area of infestation. It is highly recommended that you use 4 tea bags per room for best results. Peppermint is long known for its mice-repellent properties, as its smell deters and irritates their noses. For spiders, they can also be driven away with the use of either cinnamon or lemon oil. Your home would smell great and become pest-free – Isn’t this trick fantastic?